Despite overwhelming scientific evidence found in mainstream studies, the Medical Establishment still blatantly ignores the bone-health benefits of a pH-balanced diet. But the fact remains: eating approximately 80% alkalizing foods and 20% acidifying ones creates a balanced environment that allows bones to thrive, and provides some remarkable whole-body benefits. So in today’s post, we’re going to take a look at how the alkalizing process works, the role of diet, and why it’s so incredibly good for you. You’ll also discover three little-known, scientifically-proven benefits of emphasizing alkalizing foods that chances are your doctor doesn’t know about. We have lots of exciting discoveries to talk about! So let’s start with a brief review of how the body balances its pH. Plasma pH levels are so important, that a myriad of biological processes are in place to keep it stable. This means that if you’re eating foods that cause an acidic environment (more on acidifying foods later), your body will do everything it can to neutralize or buffer those acids – down to taking calcium stores from your bones. The preferred alkalizing substance is not minerals from bone, but bicarbonate, which is recovered by the kidneys during the detoxification process, and then excreted into the bloodstream to alkalize the pH. If there’s too much acid in your system, your kidneys must filter it out during this process, and release more bicarbonate into the bloodstream. And as the bicarbonate supply gets depleted in the presence of too much acid, calcium, a powerfully alkalizing mineral, is removed from bones. This excess acid residue in the body can come from any number of sources, from environmental toxins to medications. But the most common cause of acidosis, or an excessively acidic body environment, is from the foods we eat. What Makes A Food “Acidifying”? When foods are metabolized and processed in the body, they leave behind an ash residue that is either acid or alkaline. It actually has nothing to do with the acidic or alkaline nature of the food before it’s eaten. For example, citrus fruits are rich in citric acid, but they leave behind an alkaline residue after digestion, so their effect on the body is alkalizing. In contrast, foods like meat, eggs, dairy and most grains, which make up the bulk of the average Western diet, leave behind an acidic residue, even though the pH of the food itself may be alkaline (like cheese and milk). By decreasing acidifying foods and increasing foods that are higher in alkaline residue, you can give your kidneys a break and not deplete the bicarbonate reserves. In addition, alkalizing foods increase the level of serum bicarbonate, thus automatically setting the stage for bones to thrive. Another note on alkalizing foods, which are primarily fruits and vegetables – these foods contain significant amounts of potassium bicarbonate, which balances sodium and promotes alkalinity, or metabolic alkalosis. Scientists have shown for years that metabolic alkalosis builds bone in a very direct and distinct way. Yet to this day, you won’t hear mainstream doctors say anything about alkalizing diets to prevent and reverse osteoporosis and osteopenia. In other words, an alkaline state in the body stops calcium from being excreted from the bones (calcium efflux), and it does this by increasing the activity of osteoblasts, the cells that build bone, and suppressing osteoclasts, which tear down bone. In addition, neutralizing the “endogenous acid” (acid within the body) through “the provision of base” is cited as an improver of bone mineral growth and increase. The best way to provide base, of course, is via an alkaline diet, such as that described in the Osteoporosis Reversal Program. This is not the only study to confirm the important benefits of an alkaline diet. A much more recent study from 2009 shows similar results in human participants. One hundred and seventy-one men and women over the age of 50 randomly received a placebo, potassium bicarbonate, sodium bicarbonate, or potassium chloride for a period of three months. All 171 participants received calcium and vitamin D supplements daily. 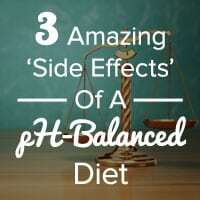 Now that you know how good an alkaline diet is for bones, I can’t wait to show you three little-known but very important health benefits of a pH-balanced diet. Remember how I mentioned earlier that potassium bicarbonate balances sodium? 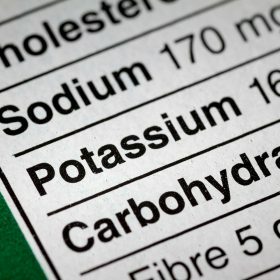 That ties in with this study, which shows that increasing potassium lowers blood pressure. The 46 participants in this UK study all had high blood pressure, and ranged in age from 18 to 75. They were randomly given a placebo, potassium bicarbonate, or potassium chloride for four weeks (this should sound familiar!). The participants blood pressure was monitored and the data reviewed at the end of four weeks. 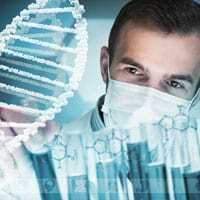 To determine the relevance of the pH of saliva in periodontal health, researchers studied the salivary pH of 300 participants, divided into three groups: one group had healthy gums, the second group had chronic gingivitis, and the third group had chronic periodontitis (a serious gum infection that destroys the supportive tissues and bone around the teeth). “A saliva pH of 7.0 usually indicates a healthy dental and periodontal situation. At this pH, there is a low incidence of dental decay combined and little or no calculus. Therefore, stable conditions should basically be found in this environment. That’s not the only way that acidosis affects the whole body. Your body’s pH influences your immunity, too. You immune system has a profound effect on your whole body and your overall health. And scientists have confirmed a connection between an alkaline pH and immunity, thus adding yet another way in which an alkalizing diet benefits your whole body. Basing their research on the established fact that “acid-base homeostasis” is vitally important for normal cellular function and physiology, researchers at Dublin Institute of Technology reviewed the data on body pH and immunity. The researchers also concluded that an increased “awareness of the relevance of the environmental pH surrounding immune cells and organs”5 is called for. …while the Medical Establishment continues to willfully ignore it. Although an alkaline diet is not a “fad diet” by any means, as more and more celebrities, including Jennifer Aniston and Victoria Beckham are embracing it, it takes on a “trendy” air. But this is a healthful trend for a change! In a recent Celebuzz article, the writers point out that celebrities swear by the healthful attributes of a pH-balanced diet.6 The article claims that the science behind the alkaline diet’s benefits is not clear; but obviously, they are not looking deeply enough, because it is indeed clear from the research noted above (and more) that an alkaline diet provides a host of scientifically-proven health benefits. But if you’re following the Osteoporosis Reversal Program, you’re already well aware of this and much more about the importance of a balanced body pH. Through a balancing diet like the one described in the Osteoporosis Reversal Program, a desirable pH can be achieved, protecting your bones from a debilitating calcium loss and helping your overall health in many ways. 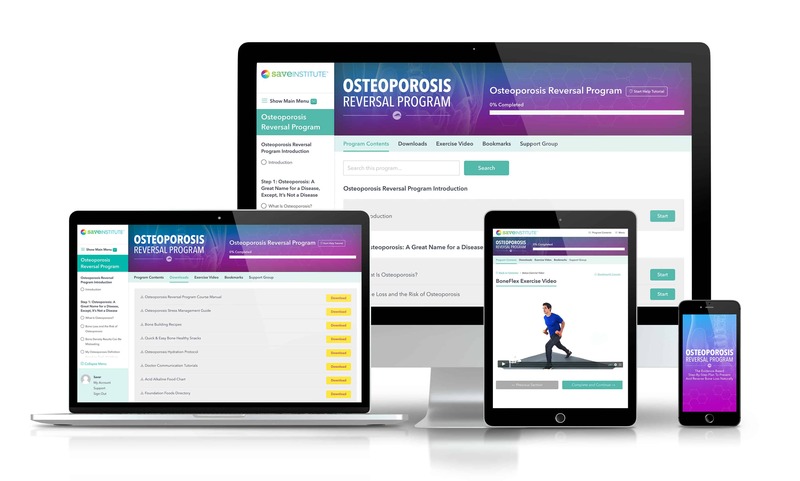 Not only will you be ahead of the Medical Establishment if you follow the Osteoporosis Reversal Program; you’ll also be promoting health throughout every body system. Here’s to healthy bones, healthy bodies, and staying ahead of the curve! 7 The Osteoporosis Reversal Program, Chapter 7. I have just read this article (below) about alkalising diets. I expect you have seen it too. It basically sates that such diets are pointless as ph in the body remains basically the same and should do so. As I am now following your recommendations for a more alkaline diet, I’d be grateful if you could address some of the issues in it. Thank you. BeeJay – I just read the article you posted. It would be interesting to hear Vivian’s response. 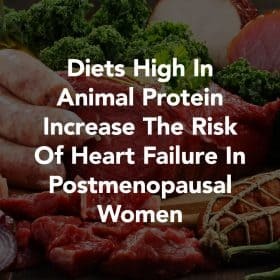 While the article supports a diet rich in fruits and vegetables, it also seems to debunk the notion that consuming meat is disadvantageous to a healthy body. How lucky we are to receive this info. A little knowledge goes a long way. Our regular MD’s do not have this info to share with patient’s. Fabulous info. looking forward to more. I am Jena’s Mom in Delray Beach. My husband Anthony & I both have Osteoporosis & we are in our 70’s & very active. Thank You –very much ! You are very welcome, Jo Anne. Enjoy the beach! Since there is a definite difference between urine being and testing at the proper PH. which does not- unfortunately- as I have learned on line effect our blood PH. Taking those tablets to restore PH-such as PH Buffer products- only restores your urine-not your Blood/Body PH. So ladies that is a waste of your money if you are doing that, thinking it will help your blood and body PH. Body Blood PH only works from what you are eating as Viv has said. I’d like your thoughts as well Viv. on that subject. Thanks Much. Jan.
Vivian, I’m 55 and was diagnosed with Osteoporosis in my hips and Osteopenia in my spine. I turned down the drugs and have recently started the 80/20 alkaline diet. I bought your cookbook and another endorsed by someone using the same system, but some of the foods are different. One says it’s acid or alkaline and the other is the opposite. You have blueberries and oats as acidifying, and spinach, lentils, tomatoes, and honey as alkalizing. Her book says the opposite. I’m feeling a bit confused. (And a trifle overwhelmed!) Can you tell me why these differences exist? Thank you! Vivian – Having read about bone formation, I am under the impression that the Osteoclast part of bone remodeling must take place, else we build bone on an old, brittle foundation. This is the problem with Bisphosphonates; they do not allow for that remodeling function. Your paragraph above talks about “suppressing osteoclasts” which doesn’t sound particularly helpful in the bone remodeling process. Please explain. I would like to know if Bone Appetit is available in paperback form. I am reading a book on how to reverse arthritis. They also talk about an alkaline and acidic balance. So the balance us important for many reasons. Thank you for all your great articles and exercises. Joanne – Inflammation also plays a major role in our overall health. Vivian, maybe you could address this topic in another post. When I plan menus, I’m always sure to include plenty of anti-inflammatory foods: green leafy vegs, tomatoes, salmon/tuna (although acidic), strawberries, shiitake mushrooms, garlic, black beans, sweet potatoes, etc. Hi Vivian pls can you tell me if coral calcium is safe to take. After following your program I feel much more stronger and I have less pain than before. Thank you for all your help. No science to this article, just a lot of blah blah. Your body does not allow the acidity and base balance vary by more than a hair. No hard evidence of the impact of food on the balance but many theories. Richard – I can “tell” when my body is in alkaline balance -vs- acidic, and I don’t even have to test my ph. I feel better when I’m on the alkaline side. That’s hard evidence, good enough for me. Try it. Hopefully, you’ll see what I see. Best of Health to you. If you’ll look at the bottom of the article, you’ll see a list of scientific studies that were cited in the article. 🙂 Research continues to point to the importance of diet in helping the body maintain pH balance without taxing the organs and systems involved. Thank you very much for sharing this excellent and valuable information. MY DOCTOR told me that the readings of my .bone density test improved.. My next test will be in January 2017. I hope I will get rid of my osteoporosis. No one helped me. Thank you so much Vivian for your help. I am alone because my husband listened to my daughter. Your bone health success will speak for itself, Esiaton! Keep up the great work – you’re a dedicated Saver. I have had osteoporosis since 2009-levels go down every bone density test. have been following your Save our Bones for 4 years with no increase. Was taking “Strong Bones” recommended by Naturopath through muscle testing. Went to a different naturopath who did a hair analysis test and discovered that I was low in calcium due to a digestive issue. Diet now has no dairy, no sugar, no gluten. Taking supplements to help with digestive issue -have not noticed any changes or weight loss. Go easy with baking soda (sodium bicarbonate), since as its name denotes, is high in sodium. IBS SINCE 2011 after my daughters death by suicide. Doing all I can naturally to cure this & now looking into this bone loss.I am 5′ 2″ & weigh 94 pds. I used to be 5′ 3 & 1/2 & 100 pds. Average. 5 children. 2 deceased. I am single & live alone in a condo & walk down 2 flights of stairs to do my laundry. So far, so good. My diet is not bad but could be better.I eat a lot of fruits & veggies this past year, but love dairy & sweets. Trying to cut that down more.im aware of GMO’S & try to be careful. Dr says Im in good health except for the IBS & OSTEOPOROSIS. You can be proud of yourself, Jacqueline! You’ve been through difficult times and events we can never really recover from completely… yet you’re not giving up… You’re on the right track for sure… stay strong! Hello to all and as always, thanks to Vivian! Not sure if my bone “scores” have improved but I feel the difference dramatically after 2 years following Vivian’s recommendations. No more sore hips upon waking, no more sore shoulders. Don;t have to worry about sleeping in hotel beds and asking for more pillows so I can pile them up under my body, I sleep comfortable and get great rest ANYWHERE now.It is amazing how the body talks to us, if I stray too far and for more than 2 days I can feel the difference. My son did a detox, ate only a specific amount of fruits, vegetables, protein, and a few gluten free crackers daily with plenty of distilled or filtered water. The results are nothing short of a miracle! No longer has ANY high blood pressure issues, so long meds and blood pressure readings 3 times a day, all his “seasonal” allergies disappeared, he no longer suffers from acid reflux or irregular bowel movements that he struggled with for many years. A persistent skin rash that he experienced since childhood has not appeared in over 15 months! He lost 90+ pounds as a result of the detox and feels like a completely different person, no longer tethered to meds and the many discomforts he endured. His body has settled into an alkaline state. Interesting to note “symptoms” of different foods as he slowly adds back dairy, grains, and other foods one at a time. Eat well! Thanks for sharing this, Cherie. It’s truly inspirational! I am 63 years old with a score of -3 in the spine and seem to have ok readings everywhere else in my bones. The Dr says it is the result of classic menapause issues. I have held this reading for 5 years now and am doing the alkaline diet ( however Christmas month was a killer ). I want so badly to incresase my bone density! I take algae calcium and other supplements and for the most part eat alkaline 80% of the time. Has anyone had a bone density increase lately?? My bone density increased the first year, but I lost two third of what I had gained in the last four years. Checking on what was my diet in that good year, I noticed I had forego silica (Biosil) and milk basic protein. So I am taking these again and will see next July what will be the result. Interestingly enough in the last year before my last bone density measurement I had replace dairy milk with home made soaked almond milk. So even if my diet was more alkaline, it did not keep my bone density where it was. Since I took Biosil again, back pain was almost gone. So each is different and no one can now what is one’s real bone strength and why is the bone density low? It would be very interesting to look through history, say two hundred years ago, when there were some the nobelty having little exercise and bad nutrition. Did they suffer from increased fractures? I have an hypothesis that most of us have too little minerals in our diet even if it is alkaline and organic. “You can trace every sickness, every disease and every ailment to a mineral deficiency.” Mineral supplementation is a must, especially since over the last century, average mineral levels in agricultural soils are much lower worldwide.